When you have too much leftover chili, and you don’t want to eat chili anymore – you can do three things. You can freeze it, toss it (blasphemy!! 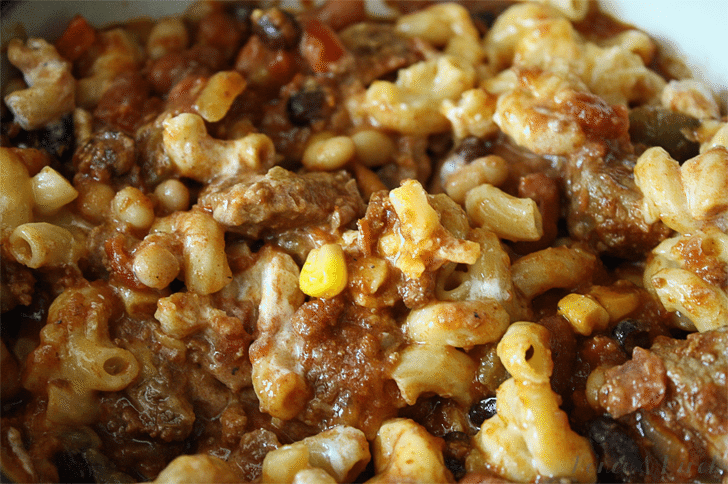 ), or you can make it into chili mac. I usually freeze some and chili mac the rest. Last week’s “Everything But The Kitchen Sink” chili recipe makes a huge amount of chili. It’s perfect for large gatherings, but even if you have 15 people coming over, there’s a good chance you’re going to have some leftovers. I don’t know about you, but I cannot eat the same thing over and over again to get rid of the leftovers. I get so bored with food after a day or two. 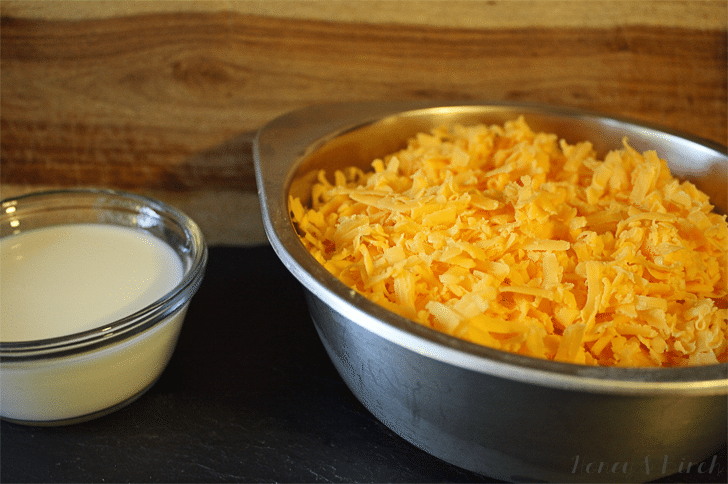 This recipe is a cure for that boredom. Call me Dr. Jenny. Sorry for the blurry picture -I was getting excited! And it was late at night – my camera was getting mad at me. 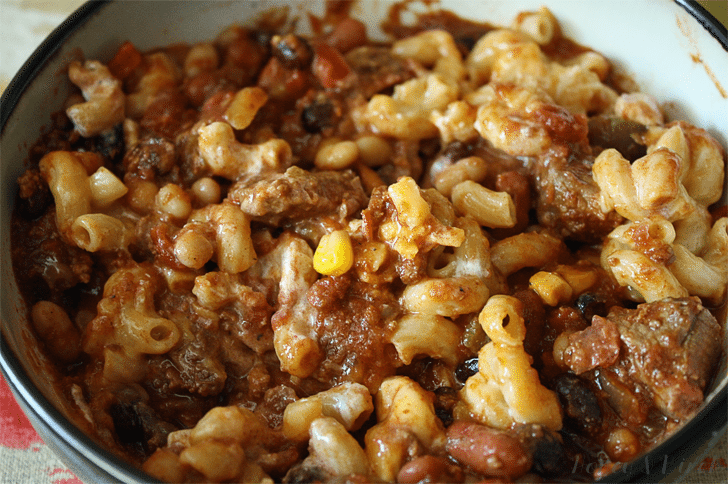 If you don’t want to use my chili recipe, I understand – chili mac can be made with lots of different chili recipes. 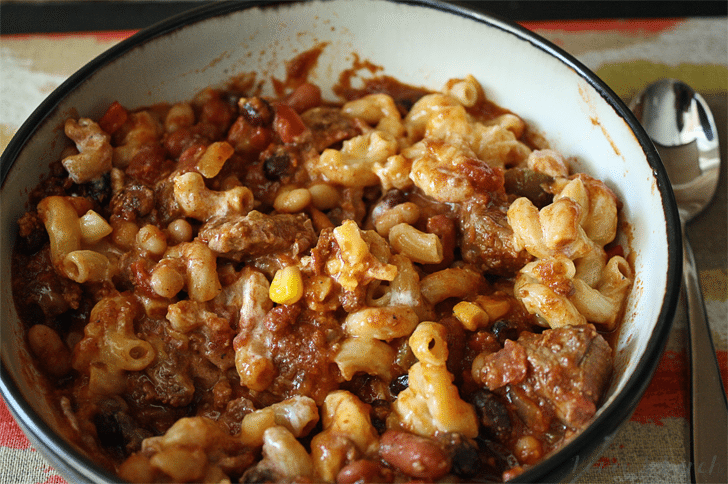 Here are 2 other great recipes to try out for chili mac – Smoky Black Bean Chili and Beefalo Milk Stout Beer Chili Recipe. 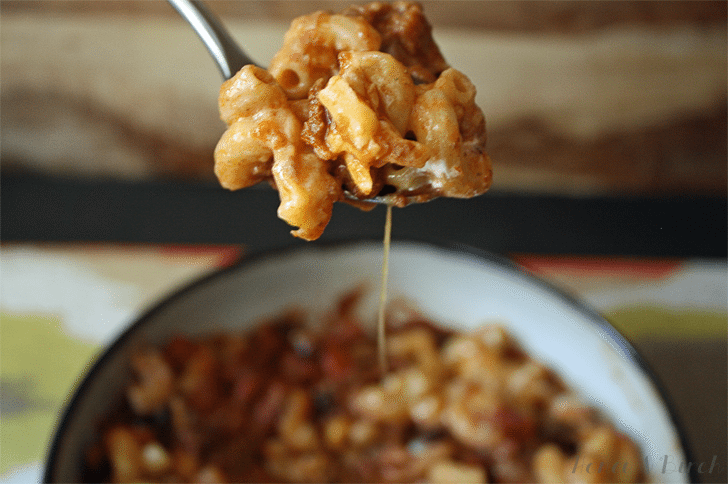 I originally tried this recipe with a more elaborate macaroni and cheese, but I realized that you don’t need that much going on in your bowl to enjoy all of the flavors. 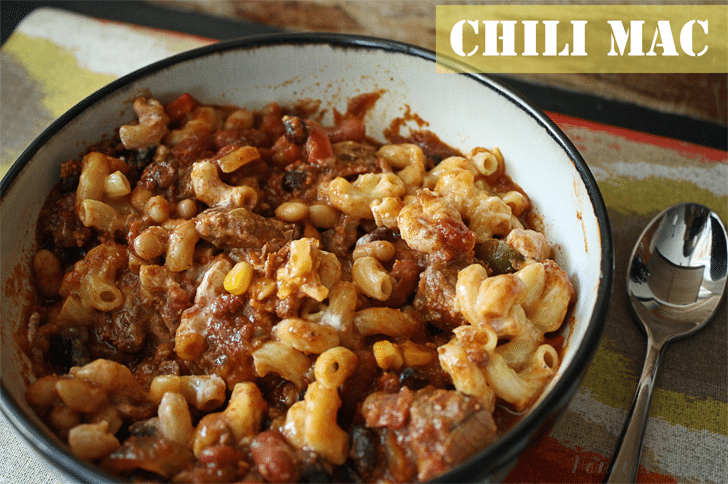 I wouldn’t recommend the macaroni and cheese part on its own – there are better recipes for that out there – but with the chili its just perfect. 1. 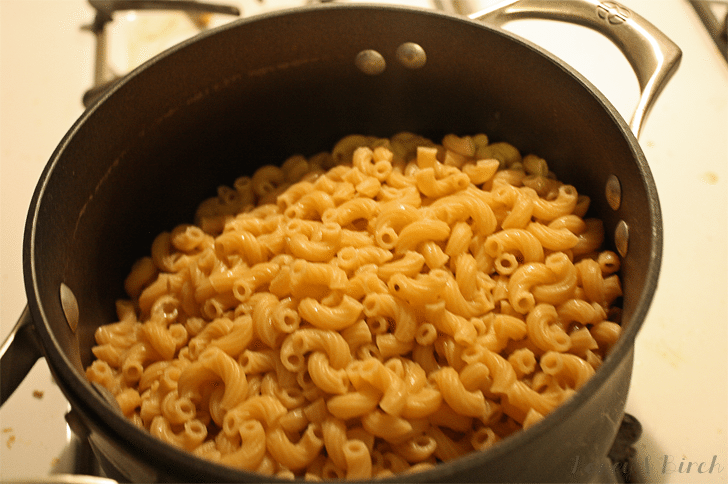 Place your cooked noodles in a large pot. Turn the heat on low and add the milk to the noodles. 2. 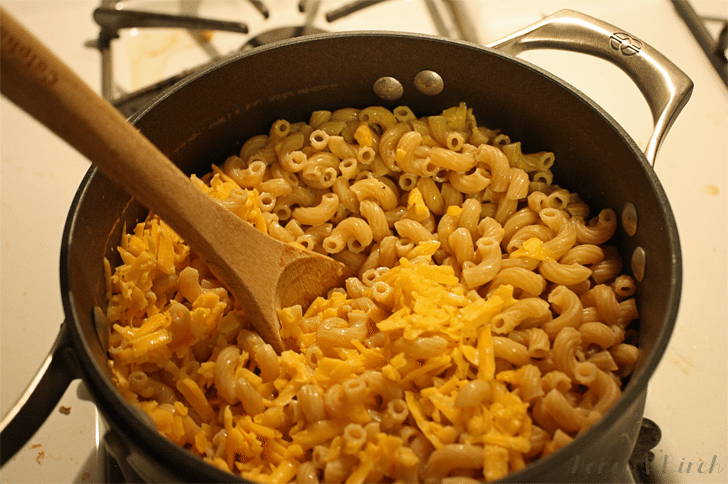 Slowly add the cheese, stirring constantly until the cheese is melted and all the noodles are covered in cheese. 4. 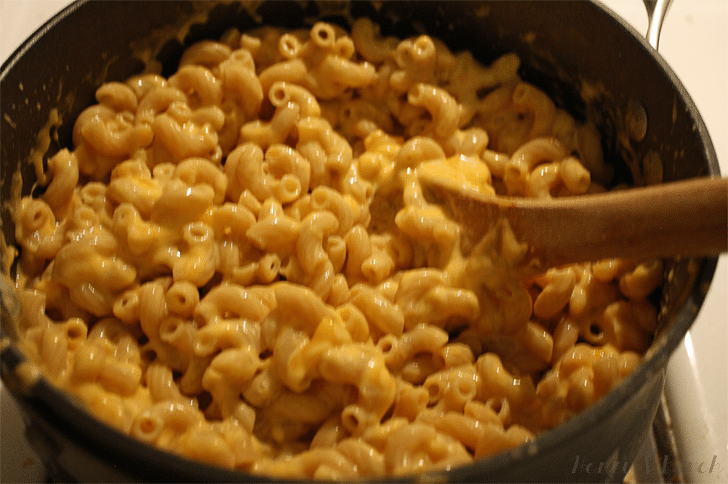 Spoon a portion of macaroni into a bowl. Cover it with hot chili and stir. Enjoy!